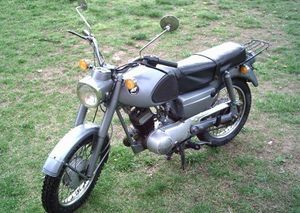 The Kawasaki B8 series was initially produced for street use beginning in 1962 by Kawasaki. 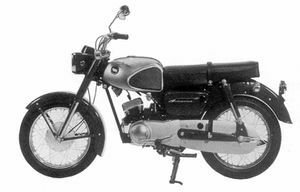 In mid 1961, Kawasaki Auto Sales was formed, and then in 1962 came the 125 cc B8, a single-cylinder two-stroke. 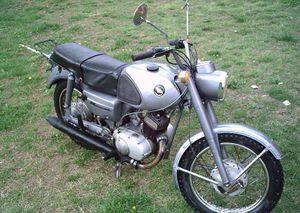 The line of B8 motorcycles was the first to carry the full Kawasaki name. 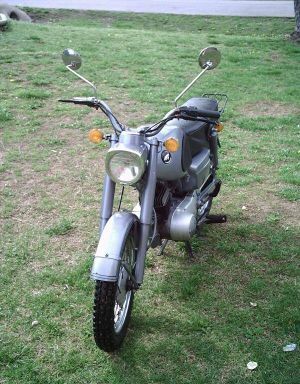 Based on it's predecessor, the Meihatsu B7 which used Kawasaki engines, the B8's were very popular in Japan because of their durability and low cost. 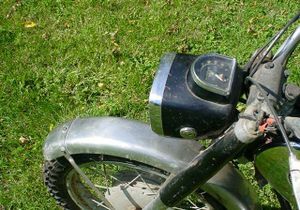 The 125cc two stroke engine produced 11 horsepower at 8,000rpm and was designed based on technical knowledge garnered from the development and production of aircraft engines. In fact, the tank badges read "Kawasaki Aircraft". 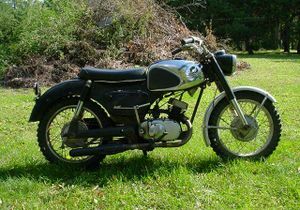 Known as the "Red Tank Kawasaki" the 1962 specifically for the motorcross championships in Japan. In 1963, it proved itself a strong performer, sweeping the podium by finishing in 1st through 6th place. 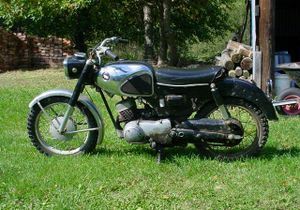 The B8M was the first racing motorcycle to be built by Kawasaki and it was the first model to be sold as a production racing machine. 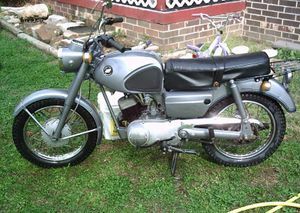 Based on the 125cc B8 street bikes; it had an increased 12 horsepower and was coupled to a 4-speed gearbox. The success of the B8M began a legacy for Kawasaki racing performers. Remarks: Bored up version of the 125 cc B8. Very similar in appearance to B8. 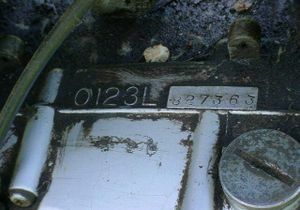 Can be identified by the engine or frame number prefix. 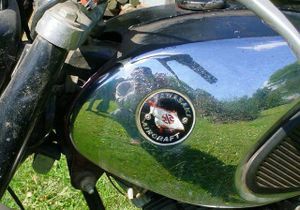 The tank emblem says "Kawasaki Aircraft"
↑ Mick, Walker (1993). Kawasaki: From the Two-stroke to the ZZ-R1100, an engineer's company. Reed International Books. ISBN 1-85532-675-2. This page was last edited on 4 December 2010, at 18:49.